The Transport department was supposed to contribute to improved air quality by bringing in more CNG-run buses. 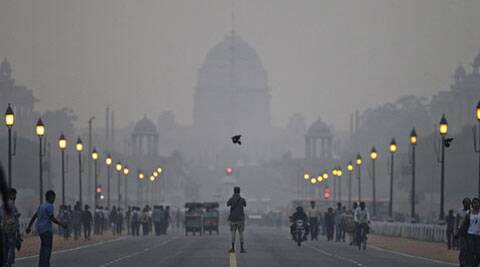 The Environment Ministry has asked state governments, including Delhi, to prepare action plans on improving air quality. Though no time-frame has been set by the ministry, Delhi government officials admitted that the absence of an elected government had already delayed implementation of a plan drafted for the capital by the Environment department. That plan, drafted to deal with the deteriorating air quality in the capital, is yet to be finalised, years after it was commissioned. The delay, according to officials, has largely been due to a lack of interest among various departments under the Delhi government in reaching a consensus on a policy aimed improving air quality in the city. A senior official in the Environment department said a committee was formed under the chief secretary and various departments were supposed to submit their observations on the plan finalised by the department along with agencies like the Centre for Science and Environment. But the departments delayed submitting their replies. The Transport department was supposed to contribute to improved air quality by bringing in more CNG-run buses. There was a plan to introduce more Metro feeder buses, so that people were discouraged from using private vehicles. The Power department was expected to create awareness about the use of solar plants. Other departments, too, were supposed to use solar energy for conserving water. The official said the departments faulted on their observations. To add to the delay, elections were announced and the process got delayed further. Delhi’s air quality has been an area of concern and despite several agencies and ministry directions, the departments have till now failed to tackle the issue. “The election delayed the process. We thought that with the new government in place, the process can restart as we had prepared not a one-year plan, but a five-year plan. But environment was not on the priority list of the new government and so that meeting never took place. Now, with the ministry’s directions, we will take the process forward,” the official said.